The TPMS Kit is supplied complete with two sensors and relative valves with sensor support. Valves can be ordered in both 8.5mm and 11.5mm. It is then possible to purchase the single sensor to increase the number of tires to be monitored. 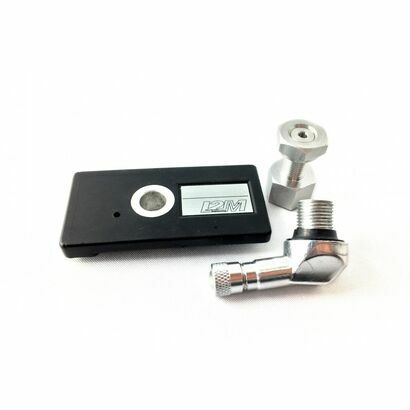 The sensors have one degree resolution for the rim temperature and 0.01 bar for the internal pressure.